Although BBP’s jurisdiction is the 10-mile stretch of the bayou from Shepherd Drive to the Turning Basin, Buffalo Bayou extends 53 miles! Enjoy exploring and discovering the many parks located along this historic waterway. Terry Hershey Park runs parallel to Buffalo Bayou in West Houston. The park boasts a network of hike and bike trails that stretch from Highway 6 to Sam Houston Tollway. Visit Terry Hershey Park for more information. Centrally located in Houston, Memorial Park boasts 1,500 acres of parkland that includes tennis courts, playing fields, a fitness center, swimming pool and six miles of hike and bike trails along Buffalo Bayou. 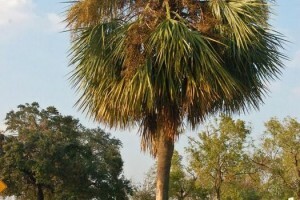 Visit Memorial Park Conservancy for more information. 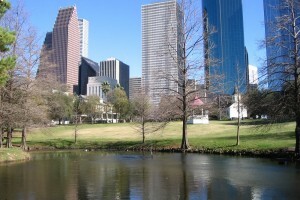 In 1899, Sam Houston Park became Houston’s first public park. Historic postcards reveal “City Park,” as it was then known, as having a children’s zoo, wading pool and picturesque wooden bridges. Today it is home to The Heritage Society which is devoted to preserving Houston’s history by restoring and interpreting early historic structures. Steeped in Houston history, James Bute Park is the original site of Germantown and Frost Town, two early Houston immigrant neighborhoods. In the 1970s, Houston artist Kirk Farris transformed the once abandoned site into what is today a hidden gem along the bayou’s east sector. A Texas historical marker displayed in the park officially designates Frost Town as an historic site. Future plans call for reconstructing gravel roads and street markers as symbols of the park’s past infrastructure. 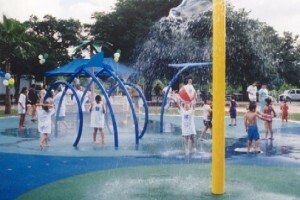 The park is named for the late James Bute, a Houston entrepreneur and nearby park resident. Mariachi and salsa music, ballet folklorico and seasonal festivals are among the sights and sounds that fill Guadalupe Plaza Park in the East End’s Second Ward neighborhood. Besides a performance area, the park includes hike and bike trails and a boating dock. Located nearby is Talento Bilingue de Houston, a performing arts organization. Named after East End activist Tony Marron, this 19-acre site is comprised of soccer fields, children’s playground, fountain plaza, picnic area and hike and bike trails. Buffalo Bayou Partnership has worked with other community partners to plant hundreds of native trees at the park for the public to enjoy. 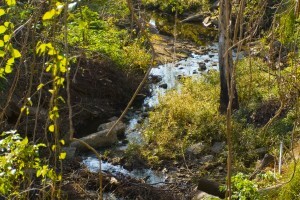 Japhet Creek Nature Conservancy is dedicated to the restoration and preservation of the natural beauty of Japhet Creek, a linear green finger in the Fifth Ward that provides an organic filter for water entering Buffalo Bayou. The Japhet Creek Civic Association and hundreds of volunteers have worked tirelessly to remove trash and debris from the creek while planting wildflowers and native trees in order to restore this area. Eventually, paths on both sides of the tributary will be created. Click here for more information about volunteering at Japhet Creek. 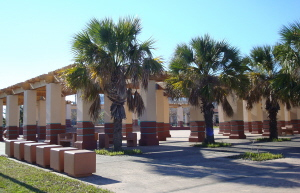 Built in 1932, Hidalgo Park is a popular East End site for Sunday picnics, birthday parties and baseball games. 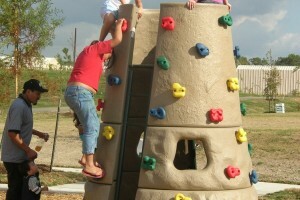 Neighborhood children heavily use the park’s creative wooden playground and water play station. Among the park’s treasures are a statue of Father Miguel Hidalgo, a gift from the government of Jalisco, Mexico, and the unique quiosco (gazebo) designed by Vidal Lozano. Plans call for Hidalgo Park to be extended to Buffalo Bayou by the closing of J. W. Peavey Street.